A wedding dinner is a memorable and poignant meal, the kind that serves to bond two families together forever. Over glasses of chilled champagne, friends and family come together to celebrate the undeniable love story of two people, and to toast to the lifetime of joy and happiness that is ahead. 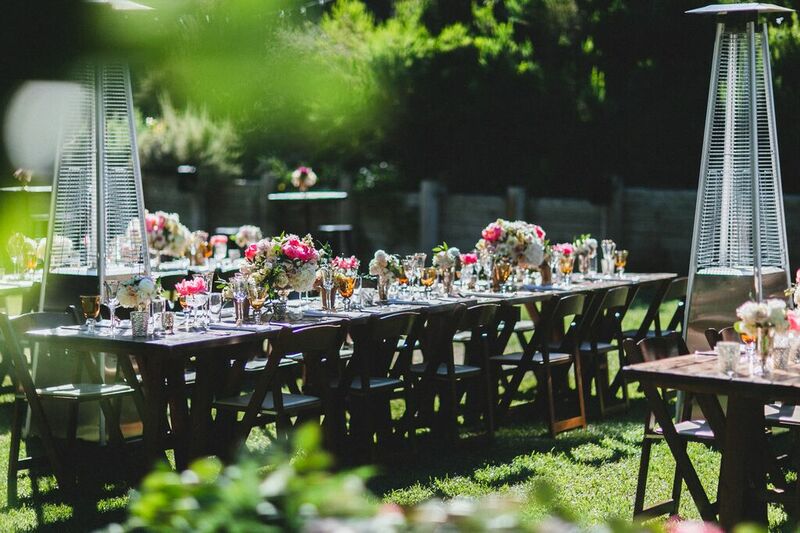 For the past ten years, our dedicated staff has catered to over 500 weddings. We’ve poured our hearts into our food and our service as a dedication to the love of the people who allow us into their worlds to share their special day. As it turns out, our secret isn’t so secret, after all. It’s the reason people are open to sharing their special celebration with us, and it’s the reason guests keep coming back for more. 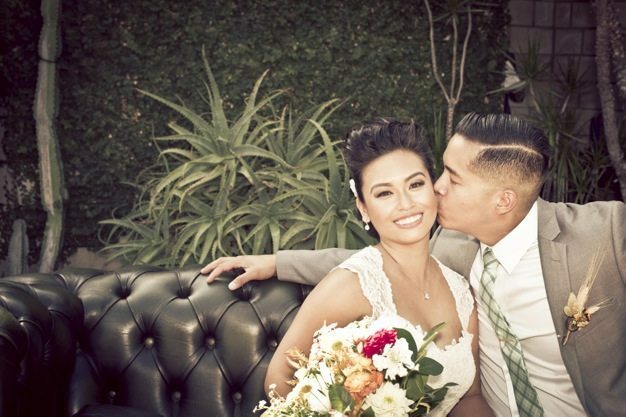 Our ultimate goal is to prepare a wedding menu with food so good, you just have to share it with the people you love. Asian fusion, Latin buffet, Vegetarian or Vegan – Our Execute Chef is here to tackle any sort of cuisine or tradition your heart desires. 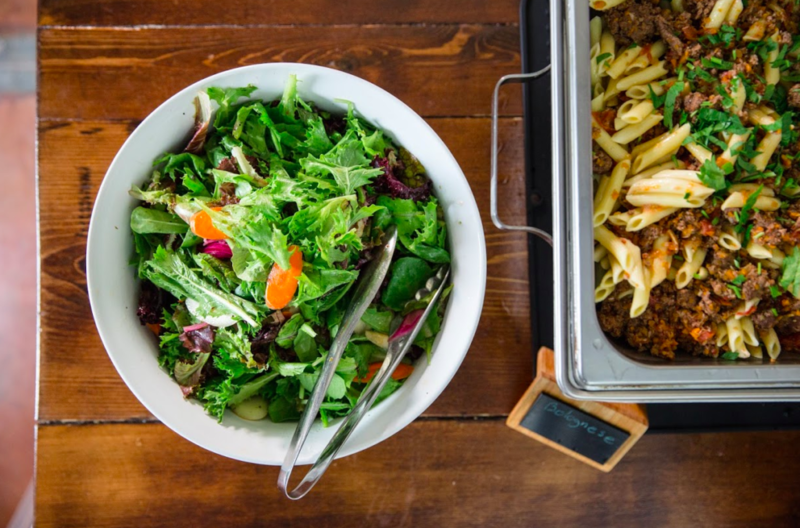 From hors d’oeuvres to salads, to main dishes, our catering team will design each menu from scratch to accommodate your own unique tastes and budget. 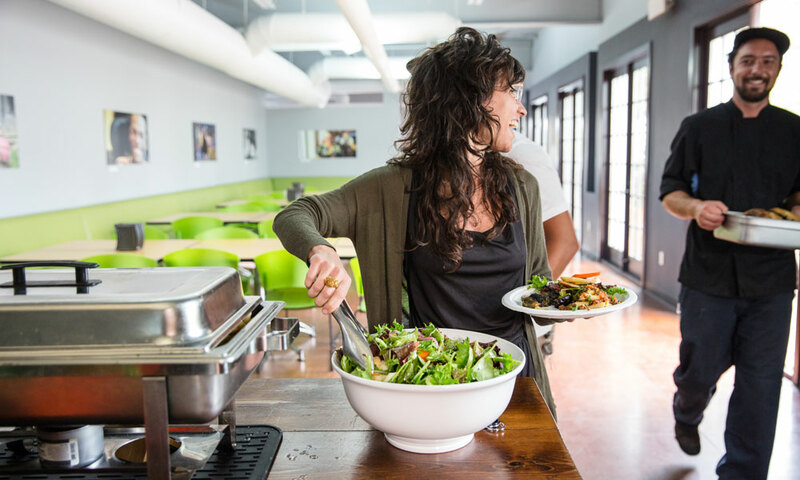 We use certified organic ingredients whenever we can to create vibrant and fresh flavors filled with color and texture, the kind that will keep guests talking for years to come. 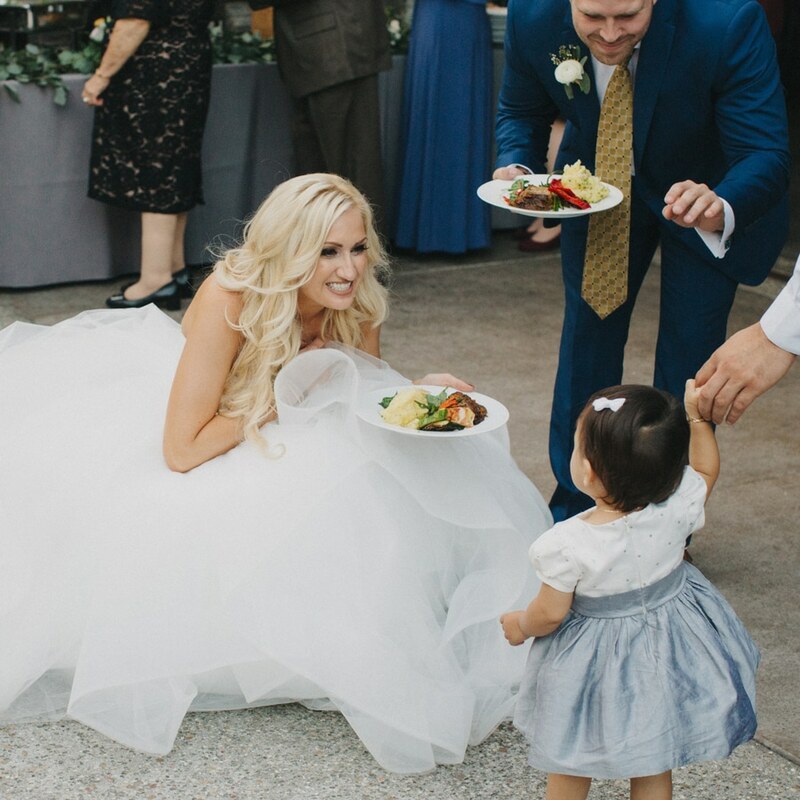 With locations in San Diego, Los Angeles, and Washington DC, our catering staff are here to help you create a customized wedding menu that works within your budget. Start with a delicious heirloom tomato plate with basil oil, raw salt, and fresh ground pepper. Move on to a salad of wild arugula with peaches and nectarines. Bite into grass-fed beef sliders with smoked cheddar and caramelized onion. And for dessert, enjoy a poached pear tart or a beautiful slice of classic cheesecake. We set out with a goal — to have your wedding guests look back on your wedding and to say with a slight nod of their heads, that was the best food I’ve ever had.